LessThanPi Art: It's-a Doctor Mario! I want to share the process of this piece with you guys. Now this is actually a of art for a friend. I put many an hour into it before it reached this point. Continue reading to dive in and see some of the steps I took to get to this completed work! The piece actually started with a full trio; Dr. Mario, Dr. Luigi, and Nurse Peach. While the original proposal for the piece was just or favorite smash clone I wanted to really mush myself and the piece at the beginning. I drafted up a few different ideas, but I ended up liking the composition of this one the best. this and I was pretty pleased with how everyone fit into the frame and I liked their poses. But I ended up dropping Luigi. 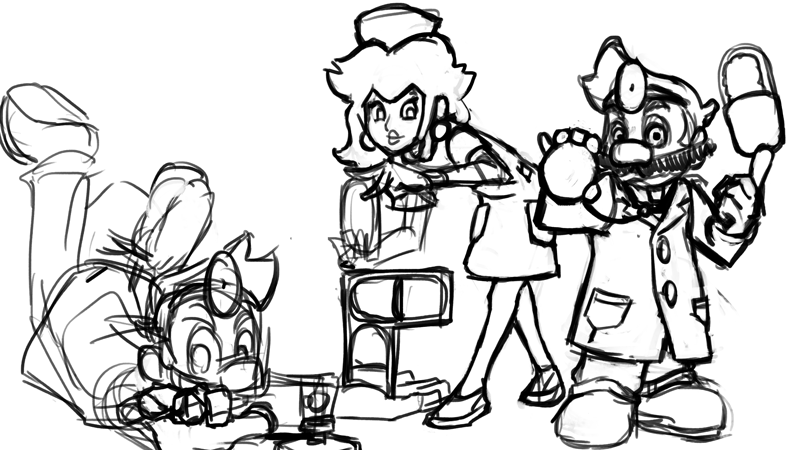 After giving myself a break from the piece I realized Luigi was really throwing off the composition and read of the piece. 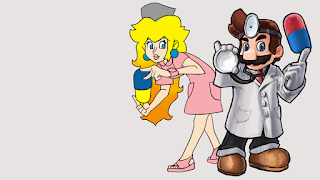 I was still really feeling Peach's design with the flats and thought she complemented Mario well. 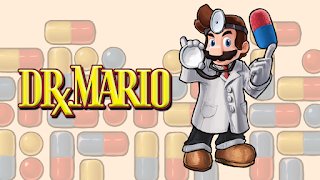 But after doing some rendering on solo Mario I started to second guess Peach..
Or in other words I was having a very tough time getting this style to translate well into the same rendering style I used for Mario. 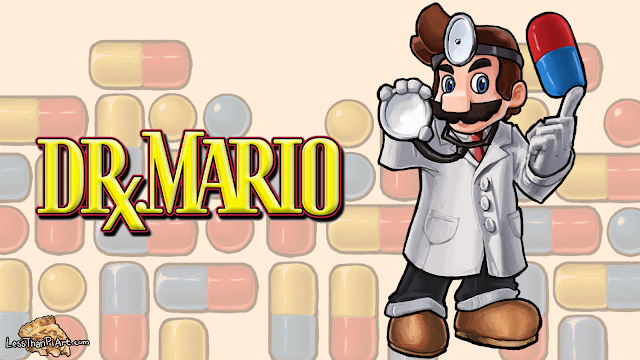 After a few hours of try to make her work I ended up dropping her from the piece too and just focusing on Mario instead. And we end up some where around here! 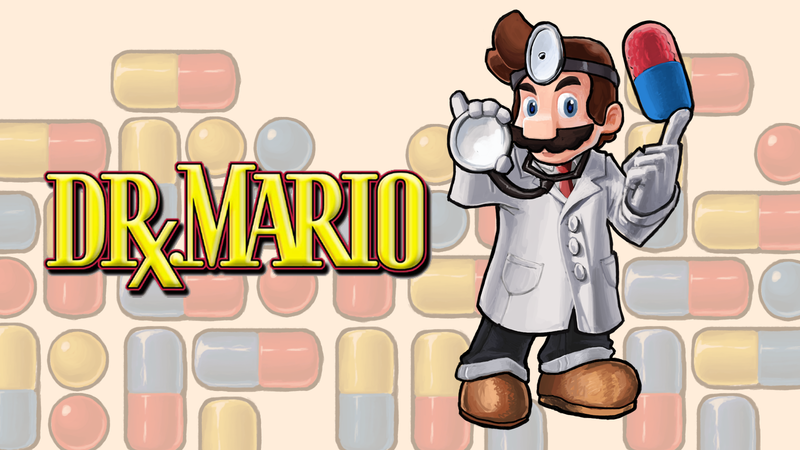 I did some touch ups on Mario and I drew a bunch of pills for the background. In the future I plan on recording pieces like this one for you guys, and even if I don't do a voice overs. I think that would be a better way to show my process! Now that said, head on over to my channel and check some of the time lapse drawings I've done over there out and subscribe while you are it; there is a lot more to come! But before you go let me know what you think of this piece and this post; would you be interested in seeing more like this one? Ladies, Gents. As always guys God bless, be safe.